The river Ganges gently flows in front of me. Last night I saw dead people burned down and turning their figures into ash and smog in 3 hours. Ash was put on the sacred stream to get into the cycle of rebirth and smog was also going up somewhere they believed they would have another life. The dead were waiting for being thrown into the fire next to the place and old people were just waiting for their death to come on the side. I thought I wanted to live strong until the day I would die. My first India tour is now near an end. Soon I will stop pedaling in Kolkata and once go back my home in middle May to get a visa for Pakistan and reconsider my equipment and make a plan for the road that lies ahead and above all to make my nieces I have never seen before learn my face and voice. I will come back to India after 2 months break. 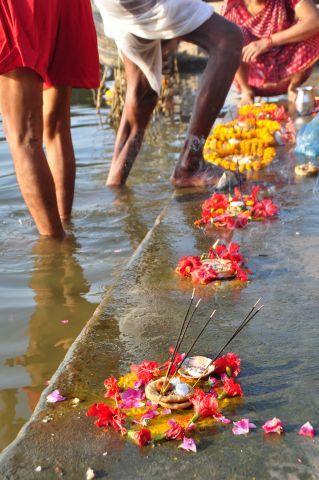 So now I would have to take a dip in the sacred water of the Ganges to wash away sticky “dirt” accumulated on my body in last five years, so that I can meet them with refreshed and blessed face. I’m going to a shop to buy a piece of sacred soap. 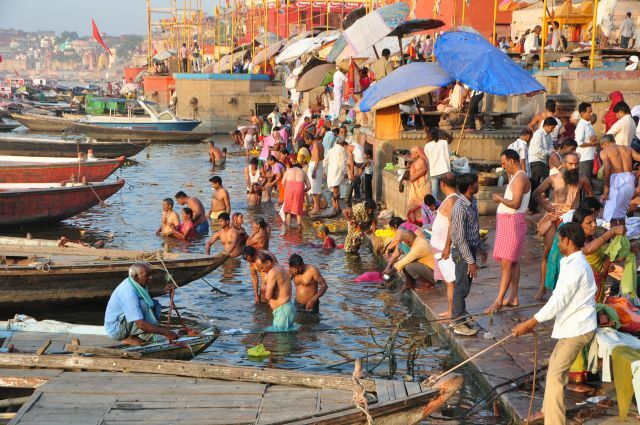 Blessing to all my friends from Varanasi. It is really big pleasure to receive and read messages from you via email or facebook or any other way. But please remember the reply from me will be usually late, even if I’m in a country which has highly expansive cell phone network like India where I am now. It is mainly due to my camping life except for in big towns, which results in the battery problem of my cell phone, however, as long as the situation allows, I make a tweet even during cycling for update and practice of my English with turning the power on only when actually I use it. Thanks for your friendship with me and understanding.